Plan of Action: Contribute supplies, volunteer hours and financial support towards Barkari’s goal of providing educational services for children, youth and adults that facilitate an a clear Afrikan identity and commitment to serve the Afrikan community first. Purpose of Action: Support Afrikan (Black) owned community and educational centers and the idea of educational experiences that meet our needs and our cultural context. The Bakari Institute is an Afrikan-centered, family ran, non-profit cultural arts organization that uses art as a medium to promote positive activity among economically-disadvantaged youth and their families. Bakari also offers youth access to homework and mentors. The Institute recently began rehabbing a new facility. The facility will feature a hair salon, music studio, dance studio, Afrikan clothing store, technology center, rehearsal room for musicians, art room, outdoor educational area, a sewing room, garden and a full kitchen. Youth will not only be trained to HELP with the rehabbing of this historic building, but they will trained to EARN A LIVING in the cultural arts that will be taught at the new Bakari Institute. 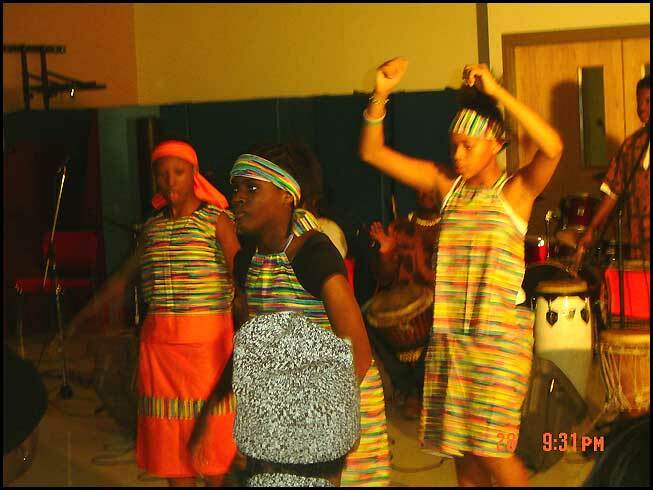 Many youth are already performing locally and regionally with Bakari’s dance troupe and drum ensemble. The Bakari Institute is one the last genuine Afrikan-centered organizations in St. Louis. They serve youth in communities where no one else seems to be interested in supporting and uplifting our youth.